Order 100+ at only £2.75 per copy and 500+ at only £1.99 per copy! Written in student-friendly language, The Student Guide to Literacy in Every Subject is divided into key sections, including: Spelling, Punctuation and Grammar, Writing, Reading and Research Skills. 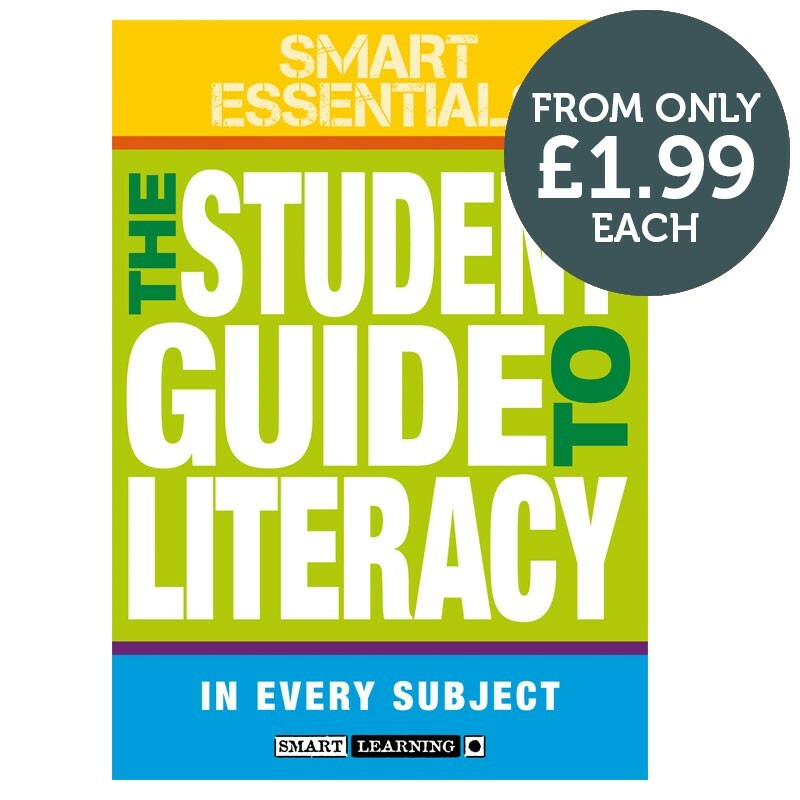 Written by Richard Durant, an experienced English Adviser – this handy practical guide offers students consistent support in using and improving their literacy skills in all subject areas. The Student Guide to Literacy In Every Subject covers a range of levels, making this a useful reference that students will refer to throughout Key Stages 3 and 4. As well as improving student literacy, this guide enables non-English specialists to deliver a ‘whole-school’ approach to literacy that is both consistent and effective. Top tip! Why not sell copies onto your students to raise money for your school? Smart Essentials individual items can be ordered on approval by UK schools. The multi-packs are not available on approval. Any items ordered on approval'will be invoiced when the goods are dispatched. However, the approval invoice only needs to be paid if you decide to keep the goods. We hope you enjoy trying these pages in the classroom. We’d love to hear any comments or feedback you have.